Baahubali 2 has taken a gargantuan opening as expected in all the 4 languages it released worldwide and with the positive word of mouth, it is good to see families thronging the theaters. Kudos to the producers for locking a perfect release date for a big budget film like this during the vacation. It has proved the decision worthy. 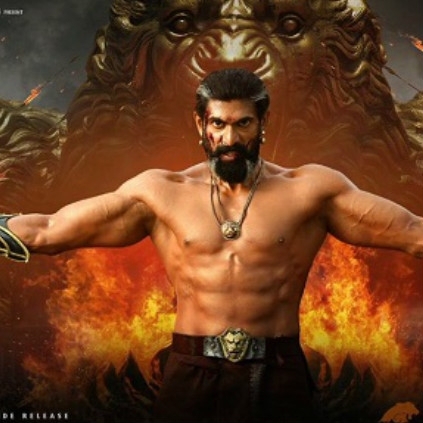 When we spoke to experienced distributor Tiruppur Subramaniam to know the Tamil Nadu response to the film, this is what he shared, "The response is historical. No recent Tamil movie has enjoyed such a demand and positive feedback. This may be a historical movie, but I would call it as a perfect commercial film, looking at the response. Even with piracy threats, when people come to theaters, that is the respect for the whole crew of Baahubali and their hard work. Mark my words, this will for sure break every record of Tamil Cinema during its long run and we should avoid comparing it with any Tamil film during its opening weekend but wait for its long run." People looking for online information on Baahubali 2, Tiruppur Subramaniam will find this news story useful.